Carry less weight in your toolbox by using I-beam levels instead of box beam levels. 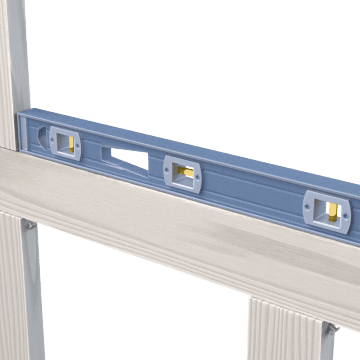 The frame is shaped like an I-beam to be lightweight yet durable, and contains bubble vials for level and plumb readings. 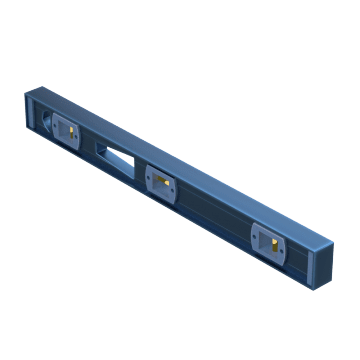 Attach these I-beam levels to magnetic surfaces for hands-free use. 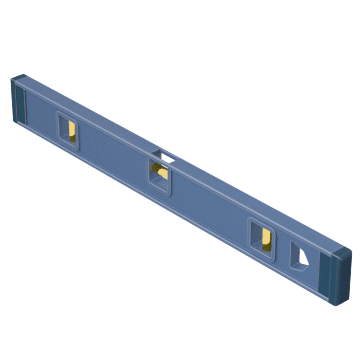 Use these lightweight nonmagnetic I-beam levels to align structures that don't require a magnetic level, such as when working with wood or stainless steel. They are a good choice when doing tasks such as framing, cabinet making, or installing flooring. These devices have magnified vials for visibility.